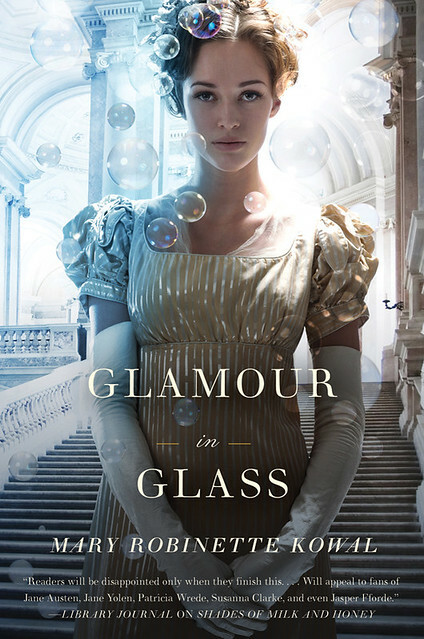 Hugo-winning author Mary Robinette Kowal had a pretty problem to solve with Glamour in Glass. The first book in Kowal’s series, Shades of Milk and Honey, had been a Nebula-nominated success, but she knew some people would come to Glamour without having read it. How to give those new readers a complete reading experience without the background of that first novel? Kowal explains how she wrote a sequel like it was a stand-alone book — and how both books and their readers benefit from that strategy. Several years ago, I was asked to proof-read Scott Lynch’s Red Seas Under Red Skies. I almost turned the gig down because I hadn’t read the first book, Lies of Locke Lamora, yet and I really wanted to. I didn’t want to read the books out of sequence, but we needed the money so I took the job. Lynch did an amazing job of giving me enough pieces so I was never lost. More impressively, he did it without any spoilers for book one. Yes… yes, I knew that things had gone horribly wrong. I knew that people had died. I knew that injuries had occurred, but I didn’t know how or when or… or anything. When I finally read Lies of Locke Lamora, it was like reading a prequel. Knowing that bad things were coming, just built the tension and a creeping sense of dread. With Glamour in Glass, I wanted to do that. I wanted to write a book that you could pick up, without having read the first one, and not feel like you were missing anything. At the same time, I wanted it to be satisfying for people who read them in sequence. So… how? 1. I focused on just two of my characters, Jane and Vincent. The more other characters are around, the more of their back story would come into play. 2. I also sent them to a new scenic location. The first book had been very tight in scope because I had modeled the plot on Jane Austen’s novels. That meant that we stayed close to my main character’s house and mostly in the drawing room. The trouble with being in a familiar setting is that it triggers memories. I needed to get Jane and Vincent out of the drawing room, and preferably out of England. Fortunately, they were newlyweds so I sent them to the Continent for their honeymoon. By doing that, I was able to avoid large swathes of their past. It also allowed me to explore more of the world, which I was very keen to do. 3. The plot deals with an entirely new problem. You can often pick detective novels up mid-series because each detective story is a self-contained plot. They start with a new question and then have to solve it, tidily, by the end of the book. Shades of Milk and Honey had a Jane Austen plot structure so the big question there was: Who is she going to marry? That’s no longer a question. Since I’ve sent Jane and Vincent to the Continent in 1815, the big question in Glamour in Glass is: What are they going to do when the Battle of Waterloo happens? 4. I made decisions about what things I was comfortable spoiling. Clearly, the fact that Jane and Vincent got married in Shades of Milk and Honey was not something that I could dodge. Rather than starting the book with a recap though, I just treated it like normal back story and layered in exposition where it was needed to understand the plot of this book. 5. I decided what mysteries I wanted to retain. One of the things that I liked in my mis-ordered reading of Scott Lynch’s books was that I kept waiting for Jean to appear. Red Seas focuses on two characters, but in Lies, one of them doesn’t appear until a good third of the way into the book. I loved that, because it created a sense of anticipation. So I decided to hold back the moment when Jane and Vincent fell in love. 6. I planted questions about Book 1. Other plot events from Shades of Milk and Honey weren’t relevant to the story in Glamour in Glass so I could safely ignore them but… but they could also work for me. I want people to go back and read Shades, so I carefully seeded in some questions, hoping to make people curious. What WAS the unpleasantness last summer? Why is Melody unhappy? How did they meet? 7. I extended the character arc. A character story is one which starts with a character being unhappy with their role and ends when they either achieve change or become reconciled. Jane remains my main character in Glamour in Glass, so I looked at where she ended Shades of Milk and Honey and considered what insecurities she would still have. Looking at the laundry list, I picked the one most likely to be affected by being a newlywed in a foreign country and then– then I was just mean to her. But I was mean with a purpose, because by the end of the book, I still wanted a happy ending. I needed to move her to become satisfied with her role. It was an interesting process and I think makes the book stronger than if I had written a straight up sequel. Oh… but what’s it about? If Shades of Milk and Honey was like Jane Austen with magic, Glamour in Glass would be Happily Ever After at the battle of Waterloo. Read an excerpt. Visit the author’s journal. Follow her on Twitter. Wow–this is incredibly relevant to my next writing project. Thank you! Since Mary hasn’t mentioned it here yet, it is probably worth noting that the initial print run of the book is going to be a collector’s item as it is missing it’s opening sentence, a problem that was somehow introduced late in the publishing process, after the book had left both Mary’s desk and her editor’s. She’s done a wonderful job of making what could have been a heartbreaking error into an opportunity with a first lines contest and opportunities for readers to get that first line as a sticker they can insert themselves or by showing up and having her hand write it into the book. More information here. Looks like a romance novel, what is the genre? Fantastic! I really enjoyed the first book (and that I was able to get it signed at the Fuzzy Event in Seattle – wait, that sounds wrong somehow…). So off to Powell’s for me, which is always a good thing. I’d call the genre Fantasy of Manners. A la Patricia Wrede/Caroline Stevermer/Susanna Clarke/et al. Is that Mary on the cover? I like to imagine that it is. More Glamour! Bought it – first line or no first line. I guess “How to give those new readers a complete reading experience” is kinda ironic what with the missing first line and all. Just popped in to say that I really like the front cover. The bubbles make it!